When you go to see a band that has been around for over twenty years, it is easy to draw some conclusions as to what you might get. This past Sunday night in Cincinnati, OH 311 did not live up to any of those conclusions. In fact, they re-wrote the book for what a band should be with that amount of history and experience under their belts. Please allow me to explain. To begin with, when you set out to see a band that has survived for over two decades you are likely to find (if you are lucky) one of the original members surrounded by a cast of hired guns. Not 311. Nope, the guys on the Bogart’s stage Sunday night were the same guys that were in the band when they first blasted onto the scene back in 1991. 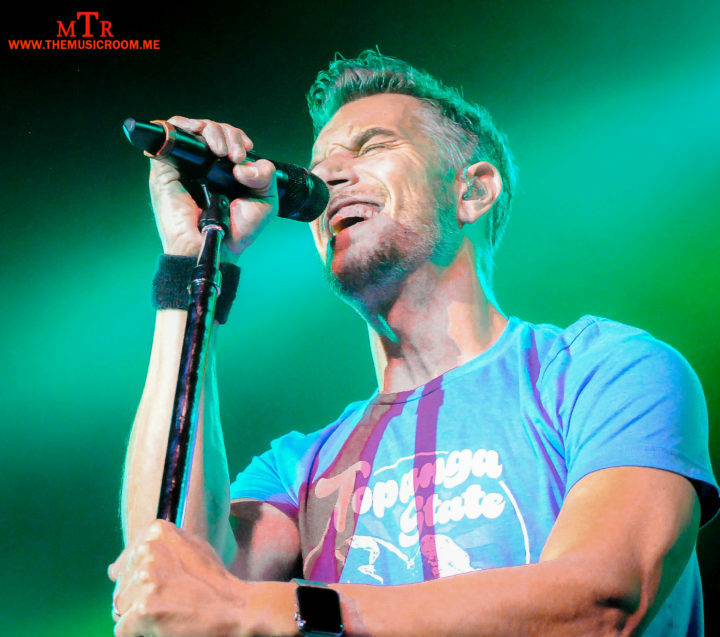 Nick Hexum on vocals/guitar, SA Martinez on vocals, Tim Mahoney lead guitar, P-Nut on bass and Chad Sexton on drums. The gang was all there. And to make it even better, the group of guys seems genuinely connected as a band. There were no egos on display. There was no feeling that any of the men were just going through the motions. 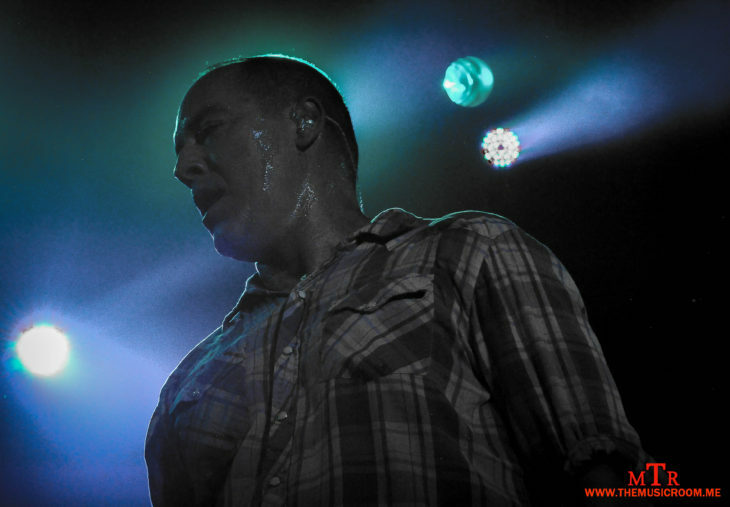 The members of 311 were united as a collective powerhouse. The next logical conclusion that some may be tempted to jump to….REUNION TOUR. Again, nope. 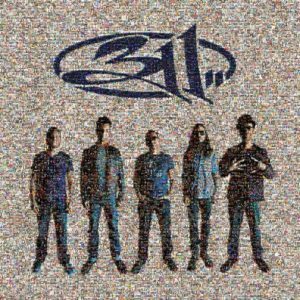 The guys in 311 have been together every step of the way and have not stopped releasing new music over the years. In fact, they just released their twelfth studio album, “Mosaic,” this past June. The album title and subsequent tour name could not be any more appropriate. During the two hour long show, the band delivered a twenty-four song set that visited tunes from their extensive catalog. It was so great seeing a band celebrate their past while proving that they can still deliver the goods with their new material. The band played six tracks off the “Mosiac” record and the Cincinnati 311 faithful didn’t mind one bit. With all of that said, people may still be tempted to jump to one last conclusion….and it’s a big one. Let’s face it, we have all gone to see a legendary band only to realize quickly into the set that they just don’t have it anymore. A classic case of a band overstaying their welcome. 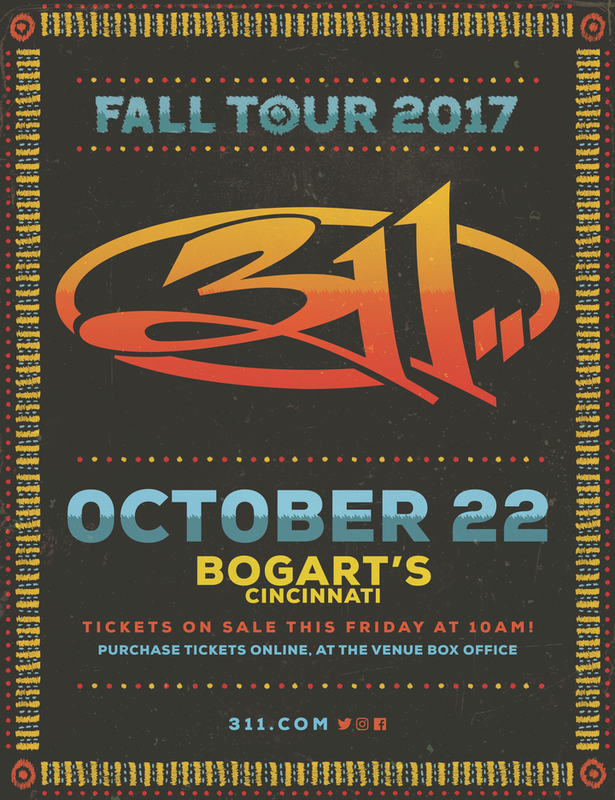 Well, anyone who saw 311 in Cincinnati….or any other city on this tour can tell you that is not the case. The guys sound as good now as they ever have. Like I mentioned earlier, there is a sense of familiarity among the five members of the band that gives the music a sense of purpose. Each member blends so well with the others the sound is flawless. The obvious example is the chemistry between Hexum and Martinez. The way the two men’s vocals compliment each other is nothing short of magic. Then you have P-Nut and Chad Sexton who lay down the fattest rhythms I have ever heard a bass/drum duo deliver. Over the course of the years playing together, the two have seemed to become a superpower. While I am not usually a fan of solos during a show, I have to say that P-Nut’s bass solo was perhaps the most I have ever enjoyed watching the bass being played. The guy is amazing. And I cannot leave out Tim Mahoney…that would be impossible. Watching him play could be compared to watching a ball of energy being released from a jar. I can try to find a fancy way to say it, but the guy is just a beast on the guitar. There’s no better way to say it. While some bands lose a step over the years, 311 has only gotten better. So in case you can’t tell, 311 are not your average band of their age. Just like the music they create, the band is just as original. They cannot be placed into a box or held down by stereotypes of their peers. The band and its members have managed to evolve over the course of their tenure while also staying true to the spirit that they started out with back in 1991. The band has forged a special relationship with their loyal fanbase over the years. This night in Cincinnati was a true reflection of that bond between band and fans. 311 have a theme of unity throughout their songs and they proved that it is not just lip service. Thank you so much for the kind words. It was really nice getting to meet you at the show. I hope you got a chance to see some of the guys. Hopefully, our paths cross again someday.